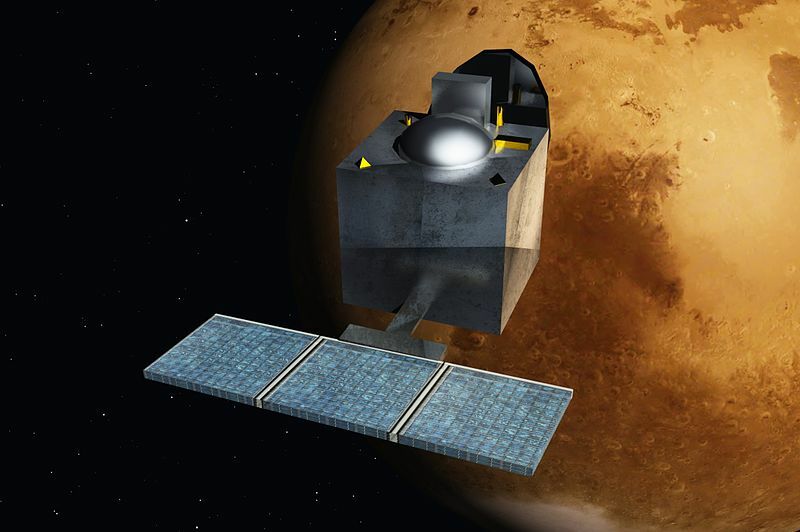 On September 23, India’s Mangalyaan spacecraft completed its 11-month long journey to Mars, and began its orbit of the Red planet the following day. An unusually long time to traverse the 100 million mile distance, its cause is the innovative new technique of escaping Earth’s orbit this mission has pioneered, allowing ISRO (India’s space agency) to keep its cost to a mere $74 million. The cheapest Mars mission in history, it places India on a new pedestal in the field of space travel, as it becomes the first Asian nation to reach Mars, and the only country ever to do so in its first attempt. MOM will now orbit Mars in the “company” of MAVEN, NASA’s Mars orbiter that reached only two days before its Indian counterpart: taking a third of the time to reach, bit costing almost ten times more. The achievement has brought ISRO to the fore, as their other upcoming projects including Chandrayaan 2, and a solar research probe are awaited with anticipation. Mangalyaan has already begun transmitting stunning pictures of the planet as it begins its study of methane on Mars, and ISRO and NASA plan an information sharing system for their parallel missions.